Ee rojullo almost mana food antha free ne! free ante interms of cost kaadandi, sugar free, fat free, gluten free, lactose free ila. Ilanti time lo mana health ki ghee anedi chaala manchidi ani chepthe, nammuthara. Nammandi, nijangane ghee mana health ki chaala manchidi. Ghee ante market lo dorike prati okkati kaadandi, cow ghee. Flavour and taste ni increase cheyyadam tho patu, it benefits our health a lot. 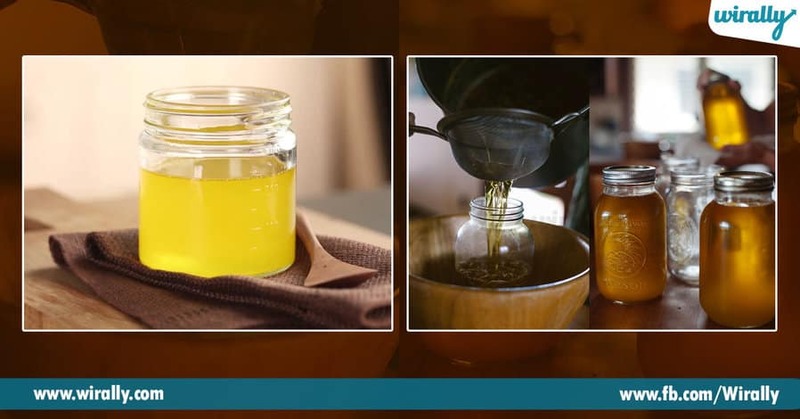 Read on to know definite ways in which ghee is actually good for you. 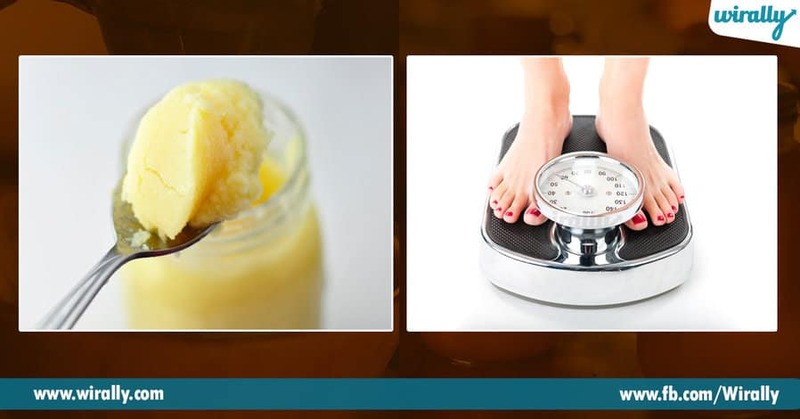 According to ayurveda, manaku general ga 4 types of fats untay. Avi Gritha (ghee), Taila (oil), Vasa (fat), Majja (bone marrow). Veetannitilo Ghee is considered as the best. Along with that, Ghee mana body meda cooling and soothing effects chupisthundi. 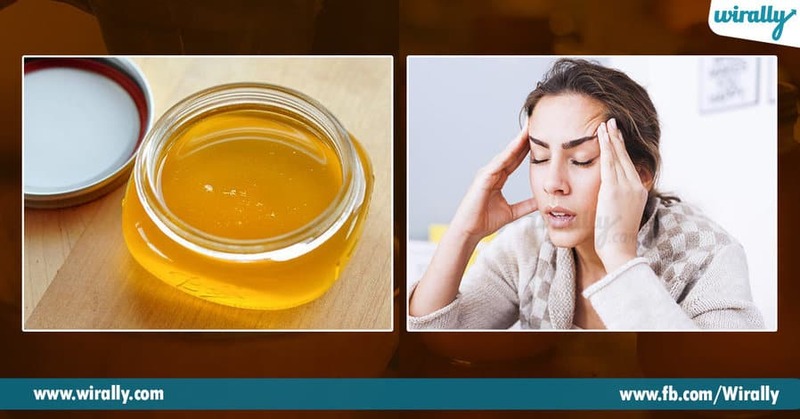 Anduke ayurveda medicine lo ghee anedi main component. Ghee valla only food taste increase avvadandi, it has a lot of internal benefits. Mana body immunity ni kuda increase chesthundi. Deeni valla mana overall well being and health improve avthay. 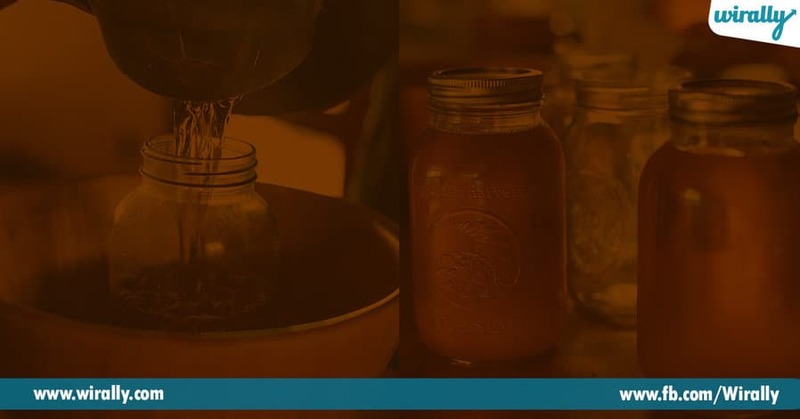 3.Anti-ageing: Ghee ni daily manam thine food lo add cheskunte, adi mana ageing process ni slow down chesthundi, which helps to retain youthfulness. Add cheskomannam kada ani bottles bottles thinalsina avasaram ledandi, minimum amount of it also works wonders. 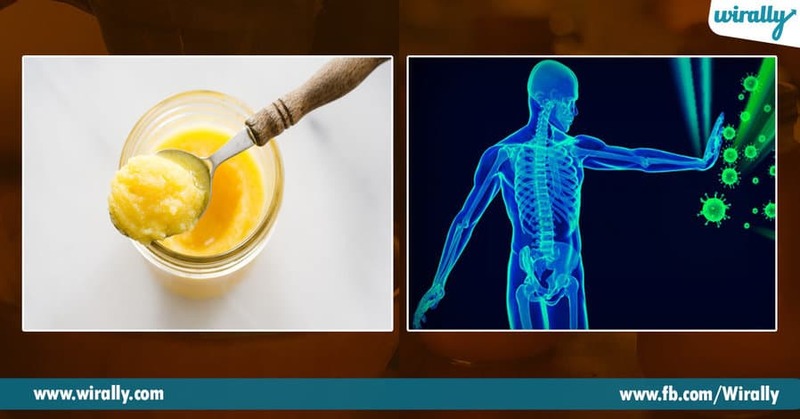 4.Natural healer: Ghee ki healing properties kuda unnay. Manaki evaina debbali kani, burns kani, cuts kani aynappudu, direct ga ghee ni dani meda apply cheyyachu. If stomach ulcers alantivi emanna unte, ghee ni food tho paatu theskovadam valla avi kuda thaggipothay. 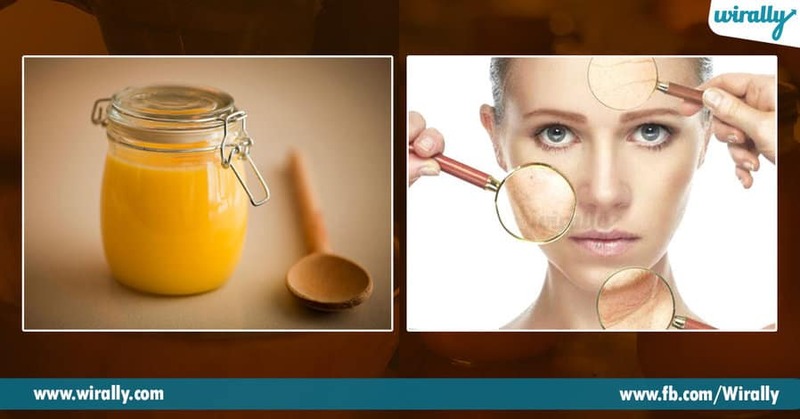 5.Anti-oxidant: Pure cow ghee is fat with antioxidant properties. Konchem shocking ga undi kada, but nijam andi. 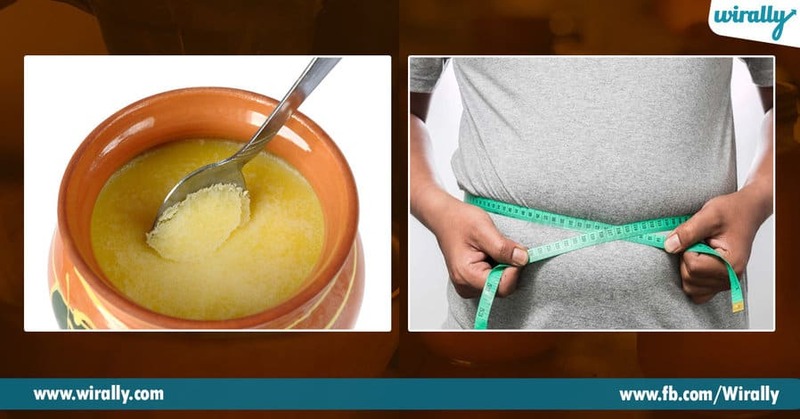 Ghee mana digestion ni increase chesthundi, which eventually leads to increase in metabolism. And deeni valla it helps in weight loss!!! But but, appropriate quantity lo use chesthene, ekkuva ekkuva theskunte, modatike mosam vasthundi. 6.The older, the better: Meko vishayam thelusa, ayurveda lo 1 yr to 10 yrs to kudirithe 100 yrs old kuda use chestharu anta. Ghee age avvadam valla andulo unde components anni mature ayyi medicine laga maaruthay. 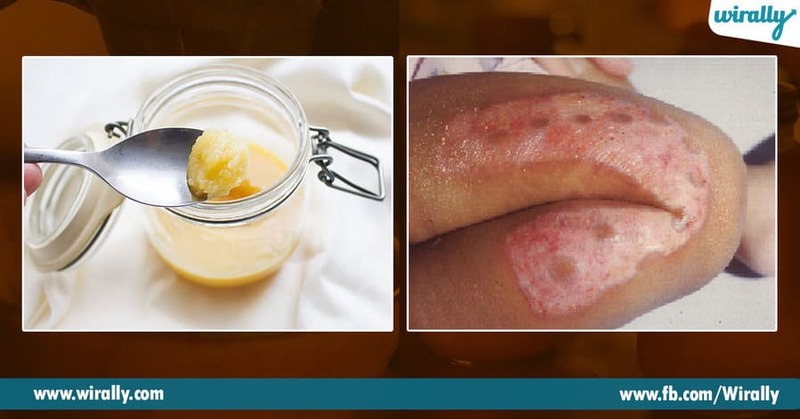 Severe poisoning cases lo ghee okkate use chestharu, as treatment. 7.Calms the mind: Idi andaram try cheyyachu!! Severe anxiety and headache unnappudu, ghee ni scalp ki apply chesthe immediate ga taggipothundi anta. Along with that, ghee apply cheyyadam valla hair kuda chala shiny ga avthundi. One shot two birds ante ide mari. 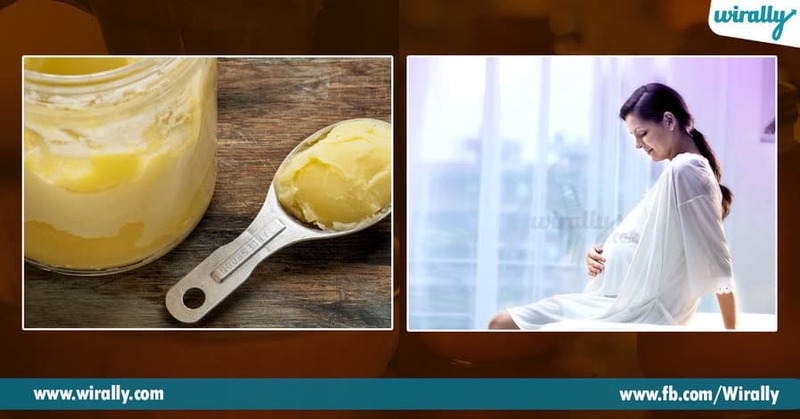 8.Good for pregnant women: Pregnant women lo mathram ghee is highly recommended. Pregnancy time lo ghee ni baga theskunte, putte pillalaku immunity baaga untundi and neural tube defects em raakunda untay. Alage external application valla pregnancy time lo vache sterch marks kuda prevent cheyyachu. Ee mathram saripoleda ghee manchidi ani convince avvadaniki. If evanna miss ayyi unte please let us know in the comments!! !